What did YOU do this past Sunday? These brave and adventurous students made a day out of pushing themselves to the limit. 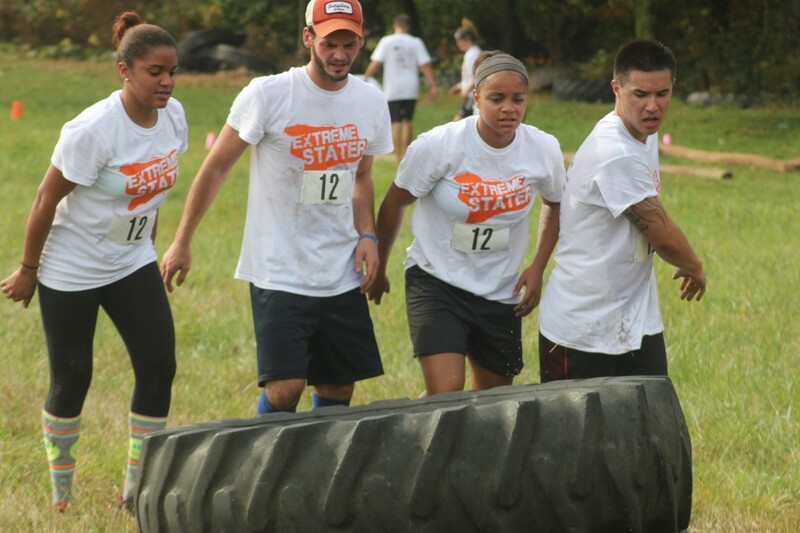 From scaling hay walls, to running close to 4 miles, to flipping a giant tire with their teammates, they helped to make Extreme Stater’s inaugural race a huge success. 3rd place-Midnight Slayers with a time of 1 hour, 12 minutes Members: Dan Warnaka, Nathan Brockett, Rachel Denny and Allison Powers. What’d You Think of Extreme Stater? Here’s a shot from this weekend’s Extreme Stater adventure race. We want to thank all of the teams who participated. Check back later this week for a recap of all that happened! Do you have what it takes? This fall, get ready for an outdoor adrenaline rush. Penn State’s Extreme Stater is ready to meet your adventure-seeking needs. 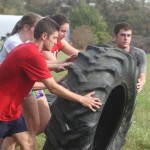 On October 6, twenty-five teams will compete by racing on an outdoor obstacle course to win prizes and glory. 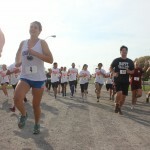 The race will start and finish at the Snider Agricultural Arena on campus. With course features including running, team obstacles and other extreme encounters, be prepared to challenge your mind and body in ways the classroom can’t! Register in 209 HUB, the Student Activities office, from 7:30 am to 5:30 pm, Monday-Friday. Print the Extreme Stater Registration Form and bring it to the HUB with the registration fee ($20 cash per individual or $80 per team). Registration closes on Friday, October 4th or when filled. 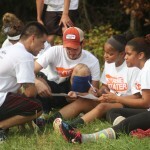 Each Extreme Stater team must consist of four competitors (two males and two females). Competitors must complete an event waiver form which will be available at registration and the day of the event. Students 17 or younger will be required to have guardian signature on the waiver. Participation is open to University Park undergraduate students. Registration will end when twenty five teams have registered or by October 4. The race will start and finish at the Snider Agricultural Arena on East Park Avenue (located diagonally across from Beaver Stadium). See the map. Participants are required to check-in by 9:30 am in the parking lot off of East Park Avenue. The parking lot is on the east side of Ag Arena. How Much Running Is Involved? The registration fee includes an event t-shirt and a chance to win a variety of prizes. Current sponsors of this event include the Association of Residence Hall Students (ARHS), the Kinesiology Club, University Park Undergraduate Association (UPUA), Residence Life, Student Activities, Adventure Recreation and University Health Services. *This list is subject to change as additional donations come in. When Do We Check In? Check in at the Extreme Stater registration table (see map). *All teams must check in by 9:30 a.m. at the latest to compete. Race start time: 10:00 a.m.
What if it rains? The race will be held rain or shine.